Last year Dave Russo and his son Sammy documented their one-day 38-mile bike tour of the Long Island Motor Parkway on VanderbiltCupRaces.com. 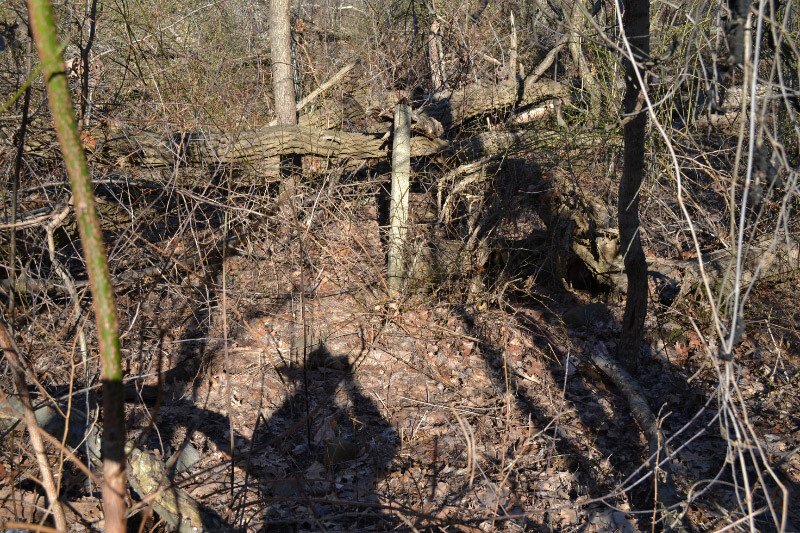 On Saturday, March 12, 2016, Dave and his 11-year old son Sammy embarked on another bike adventure exploring lost and forgotten sections of the Long Island Motor Parkway. Dave Russo: "We did the same 38 mile bike trip this time as last time....the focus this time (and every trip going forward) was to find things that were new/different/off the beaten path." 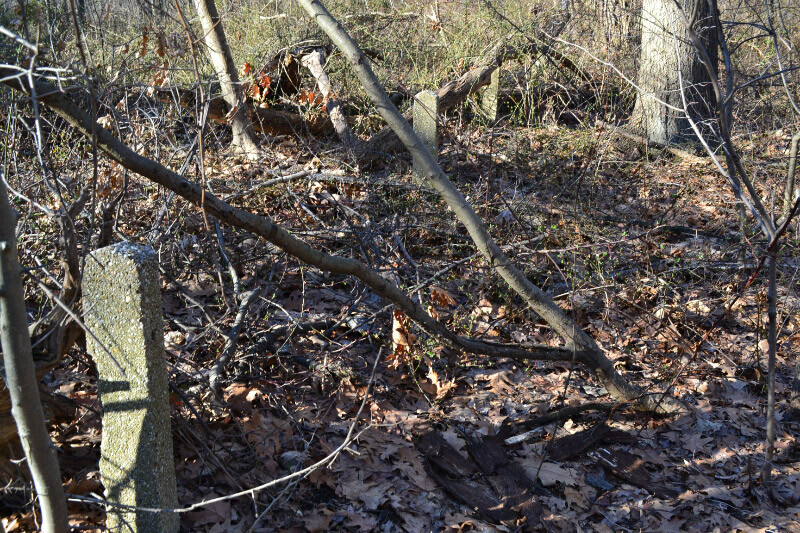 In the first post of the 2016 series, Sam & Dave explore a hidden section of the Motor Parkway near the Clearview Expressway. Dave Russo: As everyone knows, the NYC Parks Department maintains the Brooklyn Queens Greenway section on the Motor Parkway from its beginning next to Francis Lewis Blvd /Cunningham Park to Winchester Blvd next to Alley Pond Park. 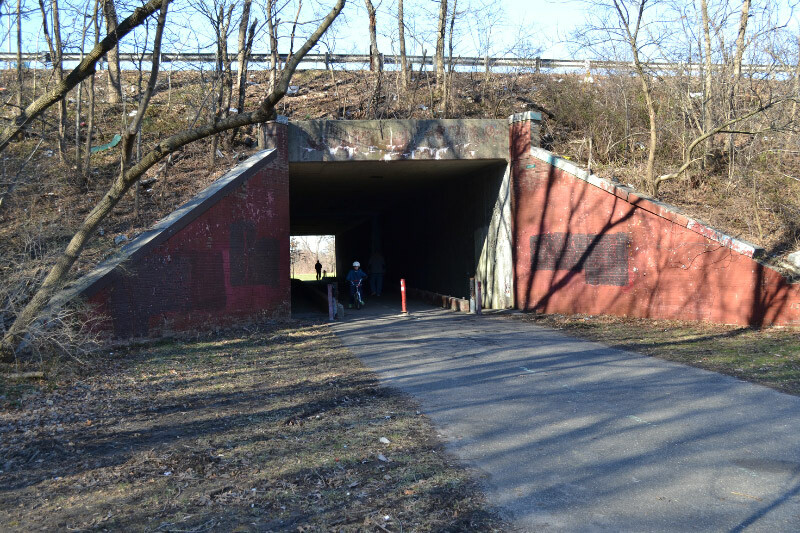 Going from west to east, the preserved path takes a left hand turn in Cunningham Park to navigate to a tunnel that goes under the Clearview Expressway. This is a diversion from the original road. The Clearview Expressway was not something they had to contend with back in the 1920's when this section of road was built. If you walk up to the tunnel, but instead of going under it you proceed to walk south - parallel to the Clearview there is actually a manageable walking path, you eventually find concrete posts where the road was. 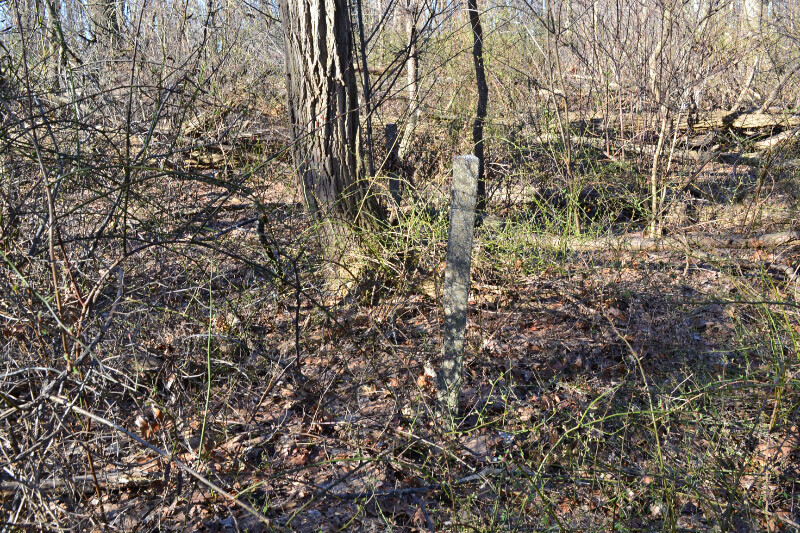 As seen here, there are many posts still standing. We even did a small excavation and the road is still very much there under the dirt layers. Sam, you have a cool Dad. Another great exploration Sam and Dave! Brian McCarthy and I were there on the same day. We must’ve just missed each other. We also walked the whole ROW curve up to the 73 Ave bridge looking for any remnants. No luck on the curve but the Clearview Expwy location had roadway posts and ROW posts amidst very tall trees. A highly recommended exploring site. Yeah he’s not that bad…..
We have some pretty good times together. There’s nothing I enjoy more than exploring and finding pieces of Long Island history. The LIMP is history and exploring this road and finding forgotten sections is just awesome. I just love that it’s there, hibernating, waiting to be re-discovered. I’ve written to Smithsonian Magazine with hopes that they take interest in writing a story about it. So far no answer. I think it’s right up their alley. And I’m lucky enough to have my little man / exploring buddy to come along with me. Great times! We are already planning Vanderbilt Day III. If anyone has any thoughts/historical sites that you think deserve investigation please let us know, LIMP sites or otherwise. I told Howard he has to get another web site up and running covering LI history in general! Nobody is better qualified to get that going! Thank you frank. Awesome you guys did this too. We really have to meet one day. We were there very early as this is the starting line of the long journey. From the starting line this is the first point of “lost” parkway. 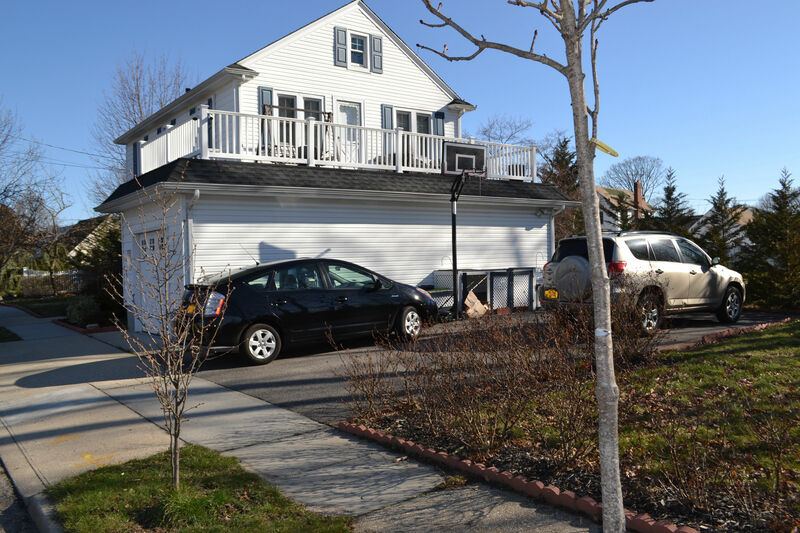 The 73rd ave budge is cool though. 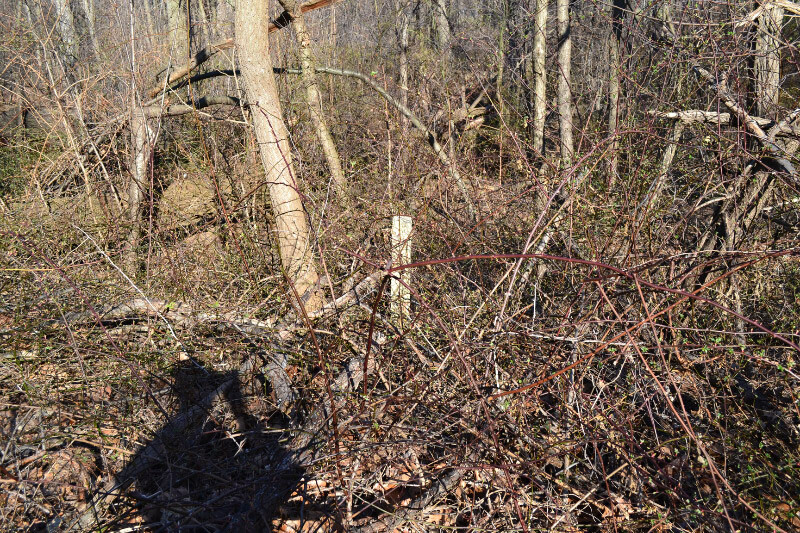 Lots of posts in the thickets around it. There are other spots coming from this journey. Stay tuned. I’m running out of new ideas however regarding LIMP. We could explore Melville to Wyandanch in more detail, I’ve seen the basics and found some good spots and I’m sure there’s more stuff to find in the woods there but for some reason the Suffolk portion of the road really doesn’t interest me very much. Not the same vibe. No race history. No Gold Coast owners going out that way (not many). Just doesn’t feel as “historical”. In the late 50s and very early 60s this sliver of the parks and parkway was the location of a rather large hobo camp. That all disappeared as the Clearview got built. The Clearview Expressway ended at the LIE from 1961 to 1964, and was extended to Hillside Ave. in time for the 64-65 World’s Fair in 1964. By the time the Clearview extension opened in 1964, I was 16 y/o and no longer rode the Vanderbilt Parkway for fun. However, in the early 60s when the extension construction was underway, my friends and I would walk our bikes over the earthen embankments of the Clearview extension to “pickup” the Vanderbilt Parkway. what do you think it was for? a exit for access to a farm or a main road? have you access to any old road maps for research? 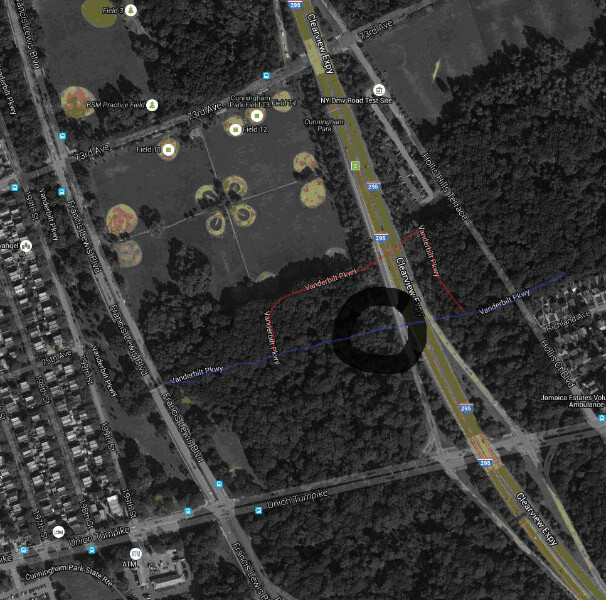 i have walked and biked many times growing up in the 60’s on the old parkway and remember where it had many exits with wrourd iron fencing near the springfield gardens areas. also by lakeville rd it ran behind the great neck school and went east to a golf course. Paul DiNatale - It sounds like you biked all the way to the Great Neck school without ever leaving the parkway. If this is true, do you or friends have any pictures doing these trips? Those would really be neat to see! Nice job Dave. Growing up in Queens Village in the 60’s meant many bike trips to Alley Pond, Cunningham, and Pe Pond. We rode our bikes on what we called “The Old Motor Parkway” many times from Winchester Blvd. finding our way to Flushing Meadow Park, the Worlds Fair Grounds. Back then we could faintly see the white centerline on the road. Glad it’s still there. Thanks for making the trip especially with your son. Hi Dave/Sam. I was looking thru some of your journeys, and noticed Sam left a comment here. ” Yeah, he’s not that bad “. Do I hear a touch of sarcasm? My 2 boys ( young teens ) will make similar statements. But not when they need something, LOL. Your dad is a great guy, Sam. Look forward to meeting up in the future.